Former India spinner Bishan Singh Bedi feels Virat Kohli & Co. will not find the going very easy in Australia despite the hosts missing their star due Steve Smith and David Warner. Many feel that the upcoming series in Australia is India’s best shot to win a Test series in Australia. The reason behind the same is the absence of Steve Smith and David Warner. Australia batting line-up was built around Smith and Warner in the last few years. From 2013, the duo scored a whopping 35 per cent of Australia’s runs. Since 2013, Smith has scored more Test runs than anyone in the world, thumping 5940 runs, ahead of England’s Joe Root and Warner. In terms of centuries since 2013, Smith also leads the pack with 23, ahead of Virat Kohli and Warner (19). 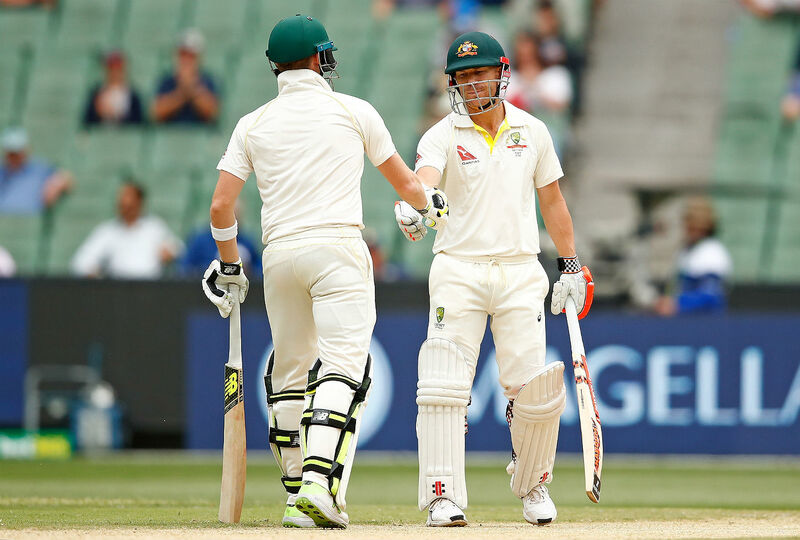 To put that into greater context, since the home Ashes series of 2013-14, Warner and Smith have combined for 41 centuries – the rest of the team has 36. After 64 Tests, only Don Bradman has scored more runs in Test matches for Australia than Smith, who has scored 6199 at 61.4. Warner, on the other hand, has also been one of Australia’s batting mainstays, scoring 6363 runs at 48.2 in 74 Tests. The last time India had toured Australia, Smith and Warner had scored 1,198 runs, helping Australia win the series 2-0. However, they will not play in the upcoming series due to the one-year ban imposed on them for their roles in the ball-tampering scandal during the third Test against South Africa in Cape Town in March this year. No surprises then that Australia will be missing the star duo big time against India. However, Bishan Singh Bedi does not feel it would be a big advantage for India. In fact, the legendary spinner feels that it is India who are too dependent on one player – Virat Kohli. “The Indian team is good, we all know that but the same team went to England and South Africa and those teams were also “weak”. Yes the bans have happened on two kids [Steve Smith and David Warner] but a team is not made of two individuals. In fact, our team is made of one person, everything is about Kohli. The amount of focus there is, you don’t realise how much pressure you are putting on that kid [Kohli], both as a batsman and a captain,” he told Aaj Tak. Bedi had the opinion that the amount of intensity Kohli brings on the cricket pitch is remarkable but he also felt that he doesn’t see the same from his team. “In my humble opinion, there is hardly anyone more intense than Kohli but there is a world of difference in his intensity and the team’s. “Similarly, Virat Kohli as a player and Virat Kohli as a captain, there is a world of difference,” he said. India’s tour of Australia will start with the three-match T20I series, getting underway on November 21.